I need help to go ahead with GMAT preparation since I am from Vernacular Medium and I have no idea about quantitative and verbal basic. Also, I have been away from study since 10 years. Is it possible to crack GMAT now if I devote around 4-5 hours daily. I am aiming for top colleges from India. I don't know from where do I start. Somehow I stumble upon this forum and just wanted a guidance. I am at the stage where I didn't even know the math terminology. For example Improper fraction, type of quadrilateral etc. Should I go for personal tutor and what is the ideal time to take GMAT. I understand you are about to begin your GMAT preparation and have a lot of apprehensions regarding the same. Let me assure you that most of the things that you are worried about will not be a problem in acing the test. Is it possible to crack GMAT without being in touch with studies? Yes, it is possible! It is fine if you have been out of touch with quant or verbal for some time now. GMAT Verbal is not all about grammar rules. Similarly, GMAT Quant is not all about formula and tricks. It will test you on a few core skills and logical thinking ability. See how Mayank aced GMAT even after he lost touch with academics for 10 years. Diligent planning and execution led him to get admits from UC Berkeley HAAS part time EWMBA program and Booth's Evening MBA program. It is also a good thing to start from scratch. It will save you the unlearning part that may be required for someone who has not been learning it the right way earlier. Being from vernacular medium will also not be a hindrance. Learn how Rohan aced GMAT by securing a 750 (Q50,V40). What does it take to ace GMAT? This is the first and most important step of your preparation. Using the Personalized Study Planner tool you can create a plan that is personalized to your starting score, target score, strengths and weaknesses. You need not worry if you do not now your precise starting levels yet. The tool estimates the same and gives you a plan which can be refined later. Learn how you a first-time test taker can reach from a 590 to 710 using the Personalized Study Planner. 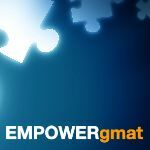 This tool will also give you an estimated GMAT date. Planning is only half the work done. You need to stick to the plan and execute it diligently. Most of the reviews on GMAT Clubare for Online courses as they are more cost effective than private tutors and also allow students to study at their own pace. How should you choose a prep course? 1. Will the course work for you? Look at the free trialresources of various courses out there and evaluate their teaching methodologies. Choose the one which suits your needs. 2. Is the course proven to deliver success to students like you? – Look at the reviews of courses out there and see what others have to say and then decide. I’m sharing some direct links of free trial material with you which can help you evaluate our course better. More of them (25 video lessons and 380+ practice questions) are available on your free trial dashboard. For free math practice and help, I recommend that you set up an account at Khan Academy (www.khanacademy.org). The site is completely free and makes the learning a bit more fun and 'game-like' (as opposed to the dry academic approach taken by most books). While the site is vast, you should limit your studies to basic Arithmetic, Algebra and Geometry. After spending a little time re-building those skills, you can start your GMAT studies. Welcome to GMATCLUB. You should study for around 3-4 months to achieve your target score. You should start by taking a GMAT Mock once. You can then now know your weaknesses and can work on them. If you are willing to study dedicatedly for that period, you are sure to achieve your goal. I think you need to solidify you base and adopt a proper technique to answer the questions. I believe you may benefit from taking a GMATPREP course. If you are willing, there are some great GMAT prep companies that can help you with your preparation. In order to make an informed decision I would highly encourage you to go to their websites and try on their free trial and decide for yourself which one do you like better. You try out free access to EmpowerGMAT, Magoosh and TTP as they have great reviews on GMATCLUB. 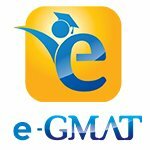 If you are looking for a good course in verbal, I would highly encourage you to consider e-gmat verbal online or the e-gmat verbal live course. They are both amazing courses especially designed for non-natives. They offer almost 25% of their courses for free so you can try out their free trial to decide which one you want to go for. Plus the e-gmat Scholaranium which is included in both the courses is one of the best verbal practice tools in the market. You can easily track your progress in that you can identify your strengths and analyze and improve on your weak areas. I’m glad you reached out, and I’m happy to help. Since you are just starting out with the GMAT, you should first familiarize yourself with the GMAT and then take an official GMAT practice exam. Your experience taking that test will give you a good idea of what to expect on the GMAT, and the results will serve as a baseline GMAT score. If you are still 250+ points away from your score goal, you may find it difficult to improve your score by so many points in 90 days. As you begin your prep, track your progress, and if after 45 days you are not making the improvement you need, consider pushing your exam to a later date. After completing your initial practice test, you will need to devise a solid preparation plan that allows you to learn linearly, such that you can slowly build mastery of one GMAT topic prior to moving on to the next. Within each topic, begin with the foundations and progress toward more advanced concepts. For example, if you are learning about Number Properties, you should develop as much conceptual knowledge about Number Properties as possible. In other words, your goal will be to completely understand properties of factorials, perfect squares, quadratic patterns, LCM, GCF, units digit patterns, divisibility, and remainders, to name a few concepts. After carefully reviewing the conceptual underpinnings of how to answer Number Properties questions, practice by answering 50 or more questions just from Number Properties. When you do dozens of questions of the same type one after the other, you learn just what it takes to get questions of that type correct consistently. If you aren't getting close to 90 percent of questions of a certain type correct, go back and seek to better understand how that type of question works, and then do more questions of that type until you get to around at least 90 percent accuracy in your training. If you get 100 percent of some sets correct, even better. Number Properties is just one example; follow this process for all quant topics. how to score a 700+ on the GMAT.